Sunscreen SPF Guide: 15 SPF- For people engaged in moderate to low energy activities. 30 SPF- For people engaged in high energy or water-based activities. 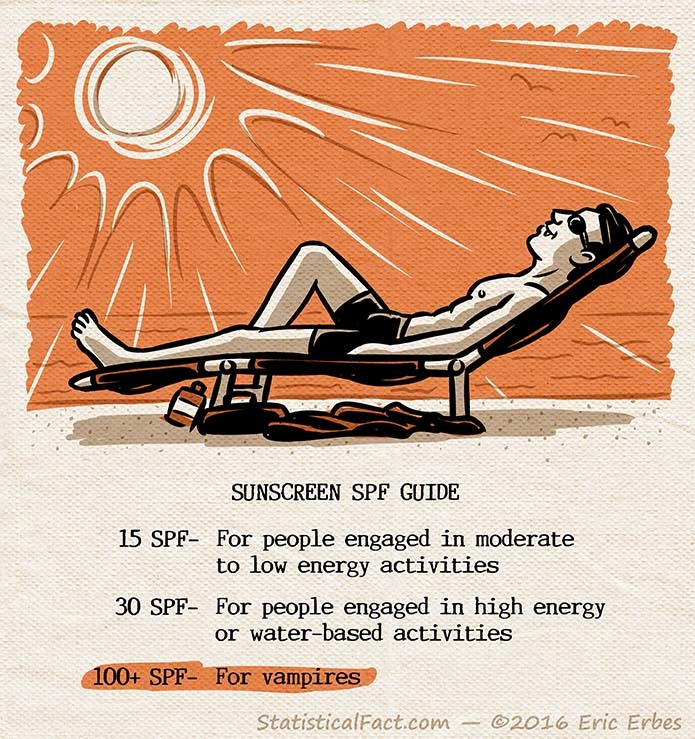 100+ SPF- For vampires.